Moving speeches and songs for lost sisters were amplified through the streets and onward during the march. On Sunday February 14th of 2016, the 7th Annual Memorial March for Missing and Murdered Women took place at metro St Laurent, and was organized by the Centre for Gender Advocacy. Valentines Day was thus reimagined across the city of Montreal as a day to honour the lives of lost loved ones, and also to celebrate anti-capitalist forms of love, invisible forms of love, and a solidarity of sisterhood. A large crowd gathered in solidarity on this cold beautiful Sunday afternoon. This piece was produced by Claudia Edwards. Invited guests give speeches and performances to memorial attendees at Square Philips. This past Sunday was the 10th Annual Memorial March and Vigil for Missing and Murdered Indigenous Women. Each year the event honours the missing and murdered women and girls, while drawing attention to systemic violence perpetuated by the state, police forces, and education systems against indigenous women and their communities. A demand has been made, but not met, for a public inquiry into the disappearances of these women, and last year the RCMP reported more than 1,000 indigenous women were homicide victims, while indigenous activists estimate this number is closer to 3000. The event was organized by Missing Justice, Quebec Native Women, and the Centre for Gender Advocacy. Invited guests included: Buffalo Hat Singers, Norman Achneepineskum, Ellen Gabriel, Melissa Mollen Dupuis (Idle No More), Nakuset (Native Women’s Shelter & Urban Aboriginal Strategy Network), Rachel Deutsch (Urban Aboriginal Strategy Network), Laureanne Fontaine (Quebec Native Women), and more! This segment was produced by Claudia Edwards. In this preview of Cinema Politica’s fall series, we speak with Svetla Turnin, executive director of the political activist film series, hosted every Monday evening at Concordia University. We also speak with the director of this Monday night’s film, After The Last River by Victoria Lean. The film follows local activists, community leaders and community members who are in opposition to the environmental destruction of their home, the Attawapiskat First Nation, as a result of diamond mining and other pursuits. Concordia students can also loan or stream previously screened Cinema Politica films through the Concordia Library’s Cinema Politica Selections. 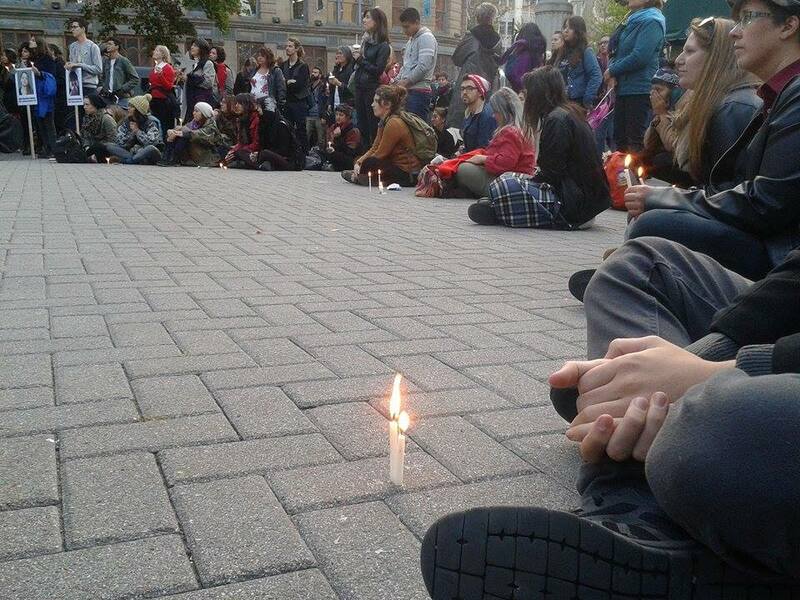 On September 12, 2015, a Notice of Seizure was delivered to McGill University by Kahentinetha Horn of the Bear Clan, a member of the Kahnawake community. 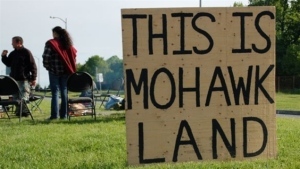 The notice outlined McGill’s use of Mohawk land that had never been sold by the Kahnawake community as well as the outstanding sum of $1.7 billion that McGill had borrowed from the Six Nations’ Trust Fund and had never repaid. Also outlined in the notice was McGill’s violation of Kaia’nere:kowa, the Great Law of Peace that Kahentinetha abides by. The discovery of military research being conducted by McGill is explained by Kahentinetha as going in direct violation of her governing law, strong motivation in her decision to send the notice. CKUT’s Victoria Xie spoke with Kahentinetha about the reasoning behind the notice as well as what she is hoping will happen in the future. 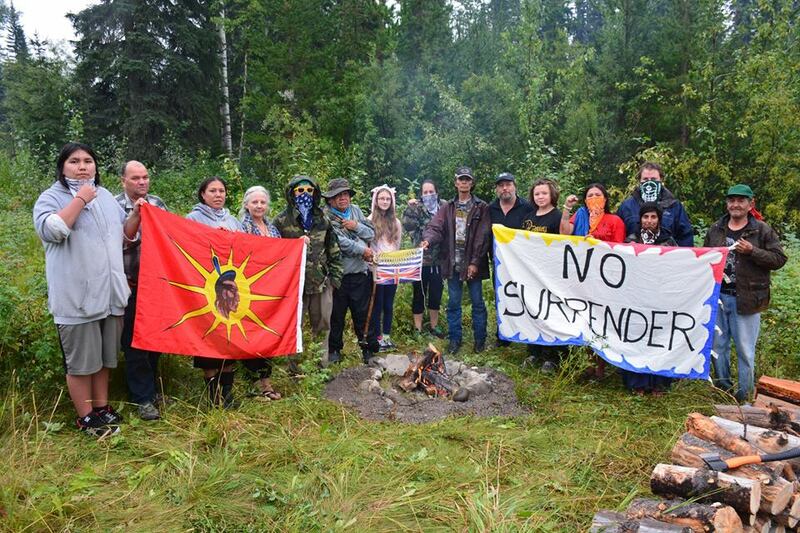 In so-called British Columbia, Indigenous groups continue to resist the re-opening of the Imperial Metals Mount Polley Mine. A breach in a toxic tailings pond at Mount Polley last August caused one of the worst environmental disasters in Canadian history. On April 29th, an national day of action was held to prevent Imperial Metals from resuming work in the area. We’ll hear from Indigenous warrior Kanahus Manuel about the situation.